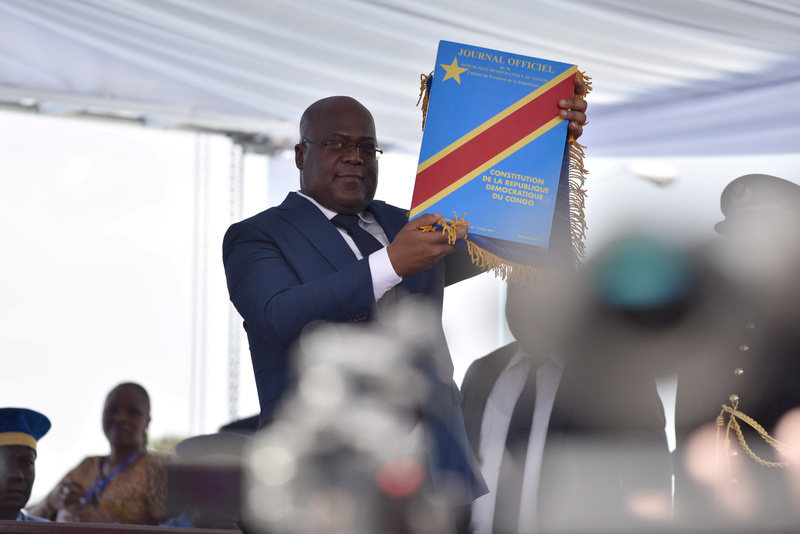 Felix Tshisekedi holds up the constitution during the inauguration ceremony whereby Tshisekedi was sworn into office as the new president of the Democratic Republic of Congo at the Palais de la Nation in Kinshasa, Democratic Republic of Congo January 24, 2019. Opposition leader Felix Tshisekedi replaced long-standing leader Joseph Kabila as Democratic Republic of Congo’s president on Jan. 24. The Dec. 30 election marked the first transfer of power via the ballot box in 59 years of independence but was marred by serious allegations of fraud. Meeting at the industry’s annual Mining Indaba in Cape Town from Feb. 4-7, some industry executives expressed optimism for the sector in post-Kabila Congo, one of Africa’s most difficult jurisdictions. Shares in Toronto-listed Ivanhoe Mines rose 13 percent on Feb. 6 after chairman Robert Friedland unveiled a study showing its Kamoa-Kakula project in southeast Congo could become the world’s second-largest copper mine, with peak annual output of more than 700,000 tonnes.